Lauren Mazzarisi is from Boca Raton, Florida. She is a senior who is majoring in advertising with an outside concentration in marketing and she will graduate with her Bachelor of Science in Advertising from the University of Florida in May 2019. Advertising has allowed Lauren to combine her love for being creative with her passions for fashion, entertainment and sports. Upon graduation, she hopes to work on an in-house creative team for a brand in any one of these industries. When Lauren is not in school, she is traveling, catching up on her favorite television shows or relaxing on the beach. This experience proved what many of us already know- there is no “I” in team. Fox Sports U gave me the opportunity to collaborate and work with my peers, who otherwise I would not have known, to create an amazing campaign for Fox Sports and Ticket to Dream. We truly could not have done it without each other. Working with Fox Sports U has been one of my favorite times as a student at the University of Florida! I will never forget this incredible experience, and the people who made it possible. Everyone at Fox Sports and Ticket to Dream made this experience so enjoyable and I am very excited to be able to continue to work alongside both organizations as our campaign is brought to life. Justin is an incredibly talented writer (according to his parents) and he’d like to take his skills and turn them into a career in entertainment. He would like to move to New York or Los Angeles to pursue his dream of being a comedian. During his time at UF, Justin was heavily involved in writing and performing comedy. He’d love to take his aspirations to the next level in the coming years. He’d also like to be a little taller. This is by far one of the coolest classes I’ve ever taken at this school. Not only were the clients we got to work with great, but the ability to do so much creative in an allotted period of time was an awesome challenge. I’m glad I was able to participate before graduating. Not only do you gain experience in actual creative and strategy, but you get a glimpse of what it’s like working on real projects with a small group of like-minded people. I loved being able to form our own agency, work hard, and be proud to show off what we did together. Fox Sports U and Ticket to Dream allowed me to better understand my passion for writing and creating meaningful things. This experience is a huge stepping stone in both my career and personal growth, and I can’t wait to see what’s next. Erica Steinkohl is a rising Senior in the University of Florida and will graduate in the Spring of 2019 with a major in Advertising and a double minor in Business Administration as well as Digital Arts and Sciences. Her fervor for all things creative transcends into telecommunications production, and the synergistic digital frontier is where she dreams of merging her many passions. Currently serving as the Creative Associate Producer of Homecoming and Gator Growl 2018, she will also be spending her Summer in NYC working as a Marketing Creative Intern for Showtime Networks. As the media industry continues to grow and evolve, Erica looks forward to finding her niche within a collaborative community of creative, market-driven professionals. Learning about Ticket to Dream’s platform within Fox Sports Supports was so eye-opening, and it is humbling to have the chance to work on a professional campaign that palpably impacts children’s lives. Fox Sports University brought the real-world industry into the classroom, challenging us and invigorating us not just as students, but as aspiring professionals. That unique opportunity is something I will always be thankful for. In just one short semester, this class taught me some of the most valuable lessons I could have possibly learned as an undergrad. Through Fox Sports University, I gained insight from both my successes and my mistakes. As a team, we were able to create something we were all proud of. I learned what true collaboration takes and what it really means. Meg Rosenoff is a recent graduate of the University of Florida’s College of Journalism and Communications. She is currently working as a Copywriter at an advertising agency in Orlando, FL. Her passion lies in words and creating brand experiences through storytelling. Fox Sports U allowed Meg to flex her creative muscles in a way she never had before. Working with Fox and the Fox Sports Supports Client, Ticket to Dream, was not only an incredible learning experience, but incredibly rewarding. 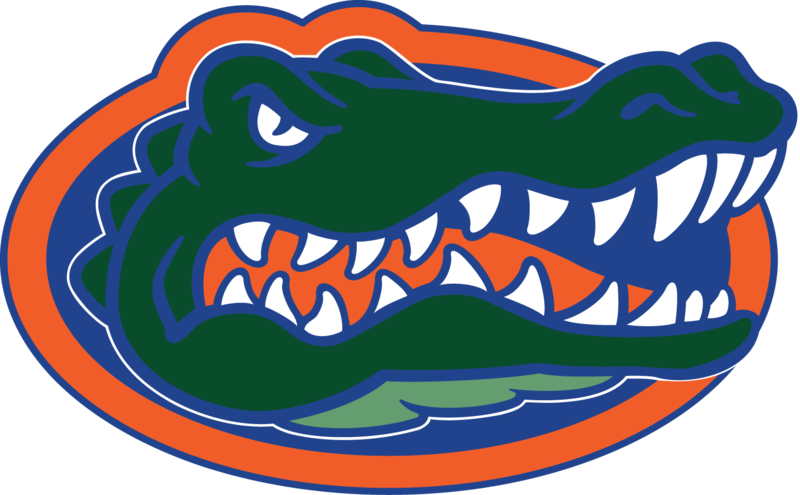 University of Florida advertising students were challenged to create an all-encompassing marketing campaign to promote FOX Sports Supports’ partnership with the non-profit organization Ticket to Dream. Goodman earned her Ph.D. at the University of Texas in 2000. Her dissertation was “Mirroring Mediated Images of Women: How Media Images of Thin Women Influence Eating Disorder-Related Behaviors and Women’s Negotiations of These Images.” She received her M.A. in mass communications at the University of Texas and a B.J. in magazine journalism at the University of Missouri. Prior to graduate school, she was a sports reporter and later on a feature page and Sunday magazine designer at the Columbia Missourian. After leaving Missouri, she worked as an advertising graphic designer at the Iowa City Press-Citizen. In 1995, she entered graduate school while also working in public relations at the Texas Petroleum and Convenience Store Association and soon after as a freelance graphic designer and public relations consultant on several projects including a Lawrence Erlbaum book cover and printed materials for the American Society of Civil Engineers. Her work with Fox Sports has earned her a bronze Telly and a silver regional Addy. She has been recognized and received awards for her scholastic work and teaching including a university fellowship that is awarded to the top 5 continuing doctoral students at the University of Texas, top conference papers from ICA, AEJMC, and AMHCR, and the International Communication Association’s award for excellence in teaching by a graduate student. Her work is published in Journalism and Mass Communication Quarterly, Visual Communication Quarterly, and Public Understanding of Science. She teaches Copywriting and Visualization and Advanced Creative at the undergraduate level. Graduate courses include Advertising Research Methods and Visual Communication Theory and Method. Her research interests are visual communication, health communications, and gender, race, and media. Her current research looks at media and cosmetic surgery and emotional responses to beauty types in advertising.